It is something special - the way, the look, the perceived "class" of the person wearing a rolex gold day-date. For me the person wearing a Rolex Day-Date has always been a person that can manage himself - a man of the world, a man that focus on quality over quantity. Take a look at these rolex adds for the rolex day-date. After I have recived my day-date in gold - I have found out that I will focus on less i more. So I have now updated my Next watch list with additional input to why I have made this selection. As you can see from my "old" next watch list - there has been some changes. Audemars Piguet Royal Oak Offshore - "Black/blue dial" - This one is the new boy on the block - probably a "old version"
All I can say that after going GOLD - this will not be my last gold watch, and both datejus, gmt, and subs are in question (all rolex). 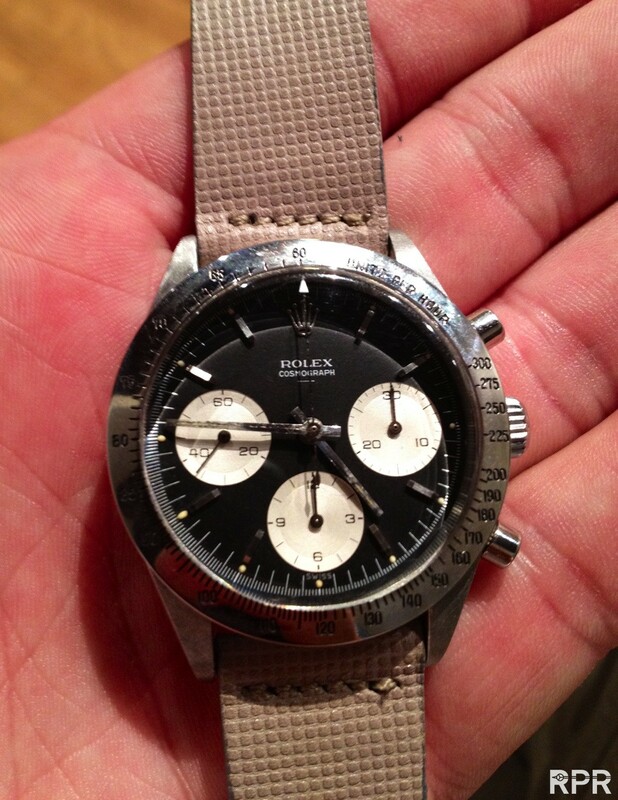 And after my failed buy of a rolex 1655 - this is a watch still very much on my radar. I have removed some watches from my list - and focus most on rolex and a little Omega. My Rolex Day Date 18038 - from 1979 and almost NOS. Here are some more photos and some more background story on the watch I now have been the lucky owner of in more than a week. I have been looking at many day-dates during the last two months - form the older 18038 (only quick set of date) to the more modern 18238 (with quick set of date and days). My quest soon went in the 1803 direction, as a watch with some "vintage" air around it, but finding a 1803 in a nice condition was somewhat difficult. And finding a 1803 with B&P was even more difficult - some B&P was not mandatory for me during my quest. I did try out some 1803 - but their age was easy to see - the bracelets was well worn, the dials and cases did show that they had been trough a life of use (and nothing wrong with that). But It made me much more careful over old day dates on the net, so I started to focus on day-dates where I could try them out before making a buy. Then a friend of mine - directed me to a subgmt - their new arrivals - and I could see one photo of the day-date with a deep blue dial. A dial color that I never really had on my radar - but all at once this dial on a day-date did something to me. The deep blue color together with the gold just looked perfect. It was bought by a gentleman in 1979 and he died that night. His grandson found the watch all wrapped up in an attic in 2006 - unworn and unused- and send the watch to a Rolex dealer for a service (since it had been laying around all that time) and a dial change, since he did not like the white dial. The watch was sold in 2006 to someone and he kept it for 6 years in his safe. The DD has still never been worn. It iss all complete, tags, booklets, boxes, writing map, 2nd dial, purchase receipt + the papers. Well it don't get much better that this - And YES I will wear it - maybe not daily - but on a week to week basis. I still have to find the right way to wear this watch. Wearing a gold watch is something different from a steel watch - it will get much more attentions than any steel rolex watch. Milsub content - Again - some guys have "all" the luck. 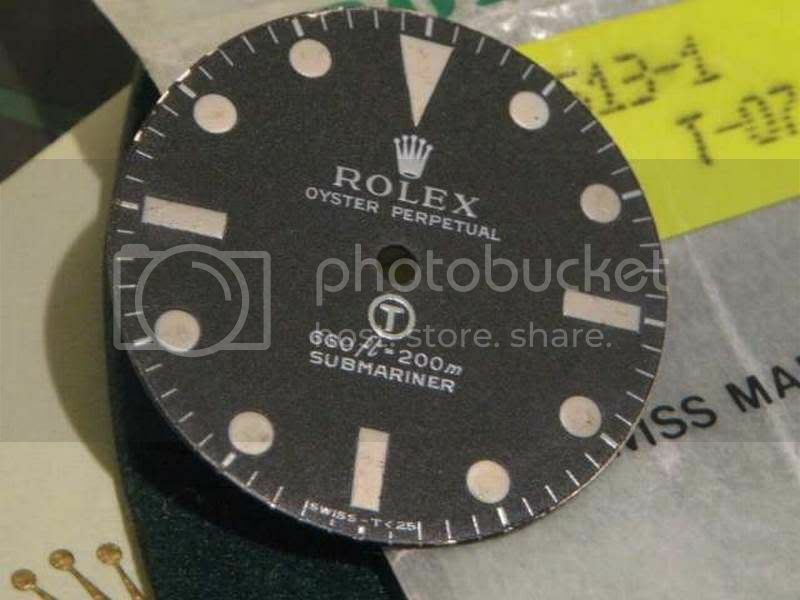 Again some rolex colloctors have a preference of the rolex millsub - me included - but I just dont have the "time" (read money) to find the watches I would like. 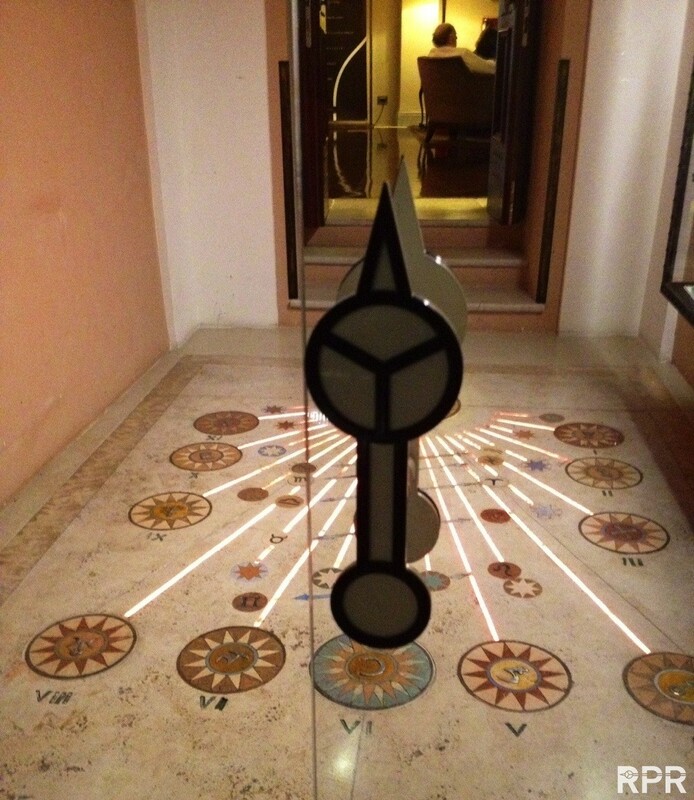 Just read a super travel log story on vintagerolexforum.com - the hotel is out of this world for any WIS or watch interested person. Check out the travellog on here - and like the people say - enjoy life with good friends and good food. Watches are still way down the list compared to having fun and enjoying life. 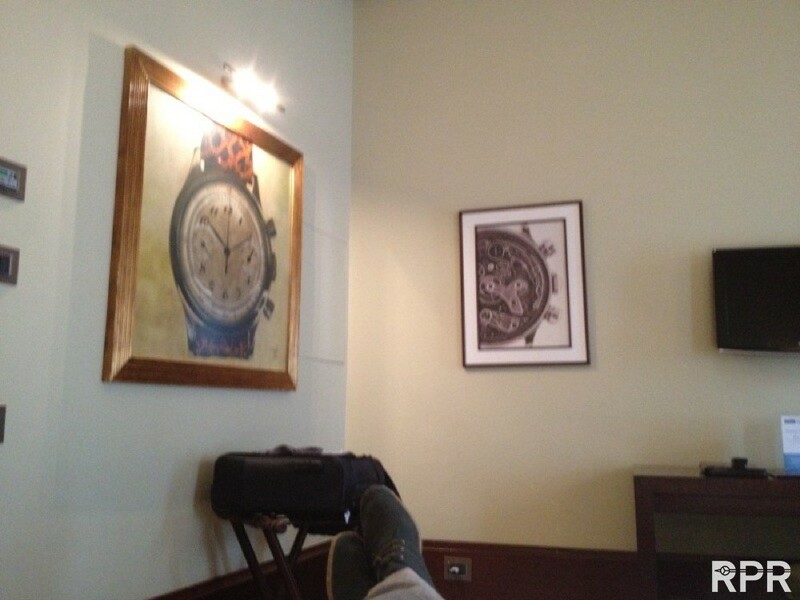 And the photos and paintings on the walls was very nice - not to much - but people understanding the watch world can enjoy them on a different level than not WIS people. Only a small taste here of the travlelog - be sure to read the complete story here. When I arrived home yesterday evening - there was a big packet from fed-ex to me. The unpacking started and there was alto of wrapping before I finally found my watch right in the middle of the packet. Funny to have a gold watch on the wrist for the first time - moving from Rolex (40 mm) to Panerai (44 mm) to Rolex sports again (40 mm) and now to rolex (36 mm). It is a big difference in the look compared to all my other watches (sports/tool watches) - and something I have to get used to. I can be a daily watch, but I have some reservations in relation to my work. People don't normally make that much notice of my rolex, being it my sea-dweller or my daytona. But coming to work in a t-shirt wearing a super bling rolex gold day-date. Here are some of my first pictures of the unpacking and the watch - a pristine rolex day-date 18038 will all the information, extra white dial, all invoices, all service papers and inner and outer box. And last some photos of the watch in the wild - very late last night when the sun was going down. Wife just send and sms - packet arrived at home. Just to bad that I'm away until later this evening. Some photos of my Rolex Daytona in different sitiations. After I recived my Rolex Daytona Zenith last year - this has been my daily watch with no exception. And now some more situational photos of the daytona, hand in pocket, wrist shoot, vacation, x-max, new year, and close ups, etc. Vacation, x-max, new year, etc. A friend of mine is very much into omega watches, but also have Tudor and Rolex as brands that have his interest. Now he has moved into military watches, and potential experience journey, but what options can a normal person do. Well there exist watches that are possibly options. You can look at military watches from different countries and from different brands. My understanding is that nowadays the military watch used throughout the world I the perfect Casio g-shock. Well there exist watches, besides Rolex and Tudor military watches. And that is what I have looked at. I have got my self 3 military watches. One Hamilton from and two cwc watches. And all I can say is that these watches are better value than many other "newer" watches. The cwc watches are very nice and watches that could be a watch for my son and daughter when they are a little older. Check out these photos of my military watches. Been busy the lasts weeks with to much work and ... Well to much work. I have also been looking at many different watches on my next watch list. And the new next watch is on the way in, right now. I have been looking at Rolex day dates, Rolex 1655, Rolex 5513, Rolex 14060, and some Cwc mill watches. But the watch on the way to my little family. Now the search is over, payment performed, and now the wait is on. What level of WIS are you? WIS = person that knows "to much" about watches ;-), well not the correct definition, but close. I have been very active on multiple forums for more than 2-3 years, but in the last year my own post to different forums have been very minimal. My focus is also on less is more, look for the right watch, and not just any watch. With my Panerai 1B gone - now shipped - I'm looking into how my next watch list should look. I can only tell that the watch I'm looking at is very special - and will match my collection very well. Well you will have to wait. When you sometime find a very nice offer on different online auction sites, where the watch looks very used and not in a good condition. Sometimes you can be lucky and get a vintage watch for a good deal - but be careful. It might not be the case. I'm still are looking for a Omega Speedmaster (cal 321), a watch to have in any decent collection. I found a used watch - priced very low for a Omega Speedmaster and placed a bid, only find out that the deal might not be the best. So I had two days with a winning bid, and started to think that of error you become "rich" in knowledge. My Panerai 1B is on the way OUT. Getting ready to ship my Panerai 1B to its new owner, awaiting my newest watch for my little collection. I will post photos of the new watch as soon as it arrives. Time to say goodbye to this watch that I think is one special watch. As a semi WIS - I find great pleasure in looking at my watch, knowing some history about the watch, being able to join different net forums regarding watches, etc. And what I also find very actractive is a nice watch on the wrist of a woman. And because of this I have sold the idea of a nice vintage rolex sub or Tudor mini-sub to the wife. - The watch before from subgmt was clear and used by the wife until last week when I got the wife this watch. It is OK for me that this watch is more in line with her taste as it gives some money for my own next watch. And already people around her thinks that it is a new Rolex (people don't know about the Rolex models). The most "painful" time - the waiting time. All is on my list but to a start I will ONLY get one watch - number two maybe in the next 6 months. Sorry No information now. More information when I have the watch in my hand maybe in 2 weeks time. This is the most painful time - after you have selected the watch you want, payment is almost done, and you just have to wait. The reason for this is that finding spare parts to the vintage Rolex is impossible at the local AD. If you send your vintage Rolex watch for service, there is a chance that Rolex will swap old inserts, tritium hands, tritium dial, bracelets, crowns and other external parts as part of their normal service. 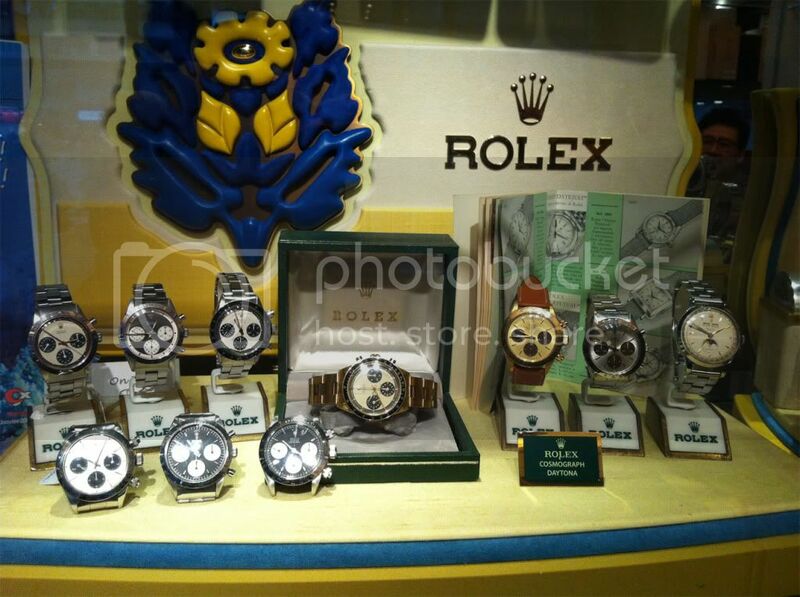 Rolex have NEVER been known for their interest in keeping vintage watches in vintage condition. Some Rolex services will not even service a Rolex watch if there are not allowed to swap parts they want to replace. Of cause all replacements are done as part of the the service in order to ensure the best possibly watch functionality. And there is NO way Rolex will give you any other "original" vintage parts back to you. 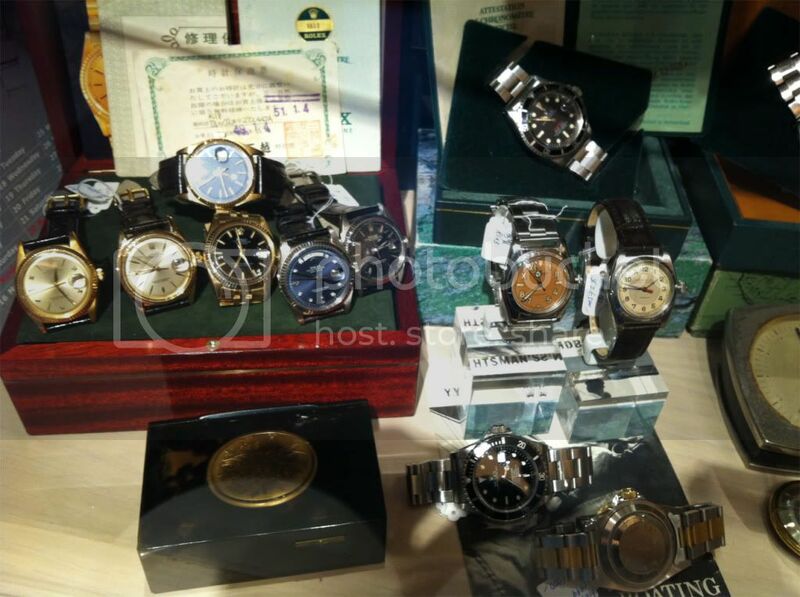 The story is that Rolex service will "destroy" any old parts. This is why old original Rolex spare parts are in high demand on the second hand marked. That a look at the Rolex 5513 dial - normal dial - with just and added T in a circle. This is a vintage Rolex 5513 Millsub replacement dial - the price is 15.000 EURO!!! But if you look at the vintage second hand marked, you will find that anything vintage, box, links, bezel, links, dials, papers, etc, demand a high price. It is the 1 may 2012 - and official the summer has arrived in Denmark. After having moved to a place with nature in the backyard, still ultra close to the capital, I just enjoying coming home from work and sit in the sun with a cold beer. So to all out there - enjoy the summer, have fun with friends, meet some more, try something different, invite a close friend to a lunch on a work day, give a compliment to all the people you meet, enjoy that we are all different and try to wake up happy. Moving into the gold Rolex - Questions..
Now as I'm starting to look more and more into the world of gold watches from Rolex, I have the same thoughts as when looking at more normal sports models. In the start I just looked at the classic Rolex Day Date - with president bracelet and the clean yellow dial with baton indicators. Let me tell you - that was the start for an hunt that are still ongoing. First I looked after these version of the day date, then I started looking at dials with roman numerals on, then on gold date-just and then again on day date with dark color dial. The I started looking at different model version 18038 or 18238, and then again should it be watch only or complete set. And then we have the bracelet - as soon as the watch has some years on the back - it get some slack and can be costly to fix. The questions are many and the answers are not that easy. Version : Model 1803 - I think I can live with the 1803 version - classic - no need for quick-set of the day. The old USSR had the famous 5 years plans - the normal time for any elected person is 4 years. But how are your life put together? With this rule you would try many different things and when your getting older you can look back on your life and see the good things and the minor good things - but better to have been around, than sit and thing back that you should have done something else. Next watch list - updated - after some looking around. Yesterday I was out checking on some potential watches - A millgauss (not the GV) and a Rolex Day-Date, as these are on my next watch list. 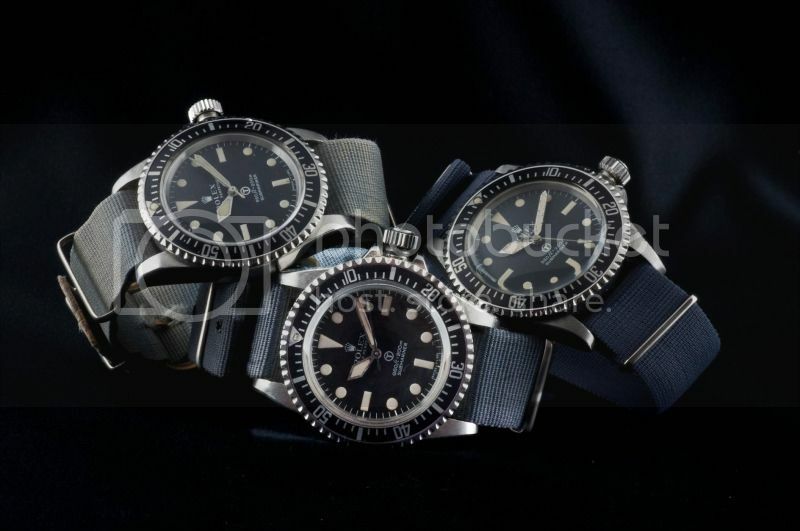 I also have a Rolex 1655 and a 5513 meters first in my view - but as options are limited due to "time" (time=money). I will have to look inside me for what I would spend some money on. I have put my Panerai 1B on sale to get some money to help with the new members to join the familie. But the fact that I did hold and wear the Rolex Millgauss on my wrist - made me drop this of my next watch list. So the updated list looks something like this now. A true classic that will become more and more valued as the time goes bye. I give to your the Rolex 5513. 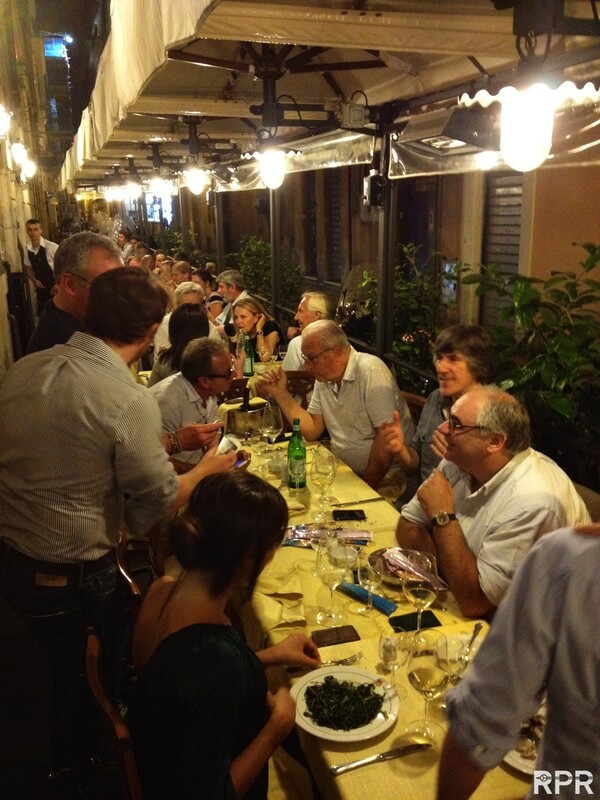 The following information is from vintagerolexforum - the best place for information. 1) Ca. late 1961-1963: gilt/gloss dial w/minute track, meters-first depth rating and signed "SWISS"-only below 6. 2) Ca. 1963-1967: gilt/gloss dial w/o minute track, meters-first depth and signed "SWISS - T<25" below 6 . 3) Ca. 1966-1970: matte/white writing dial, meters-first, "SWISS - T<25"
4) Ca. 1970-1976: matte/white dial, feet-first depth rating, "SWISS - T<25"
5) Ca. 1976-1985: matte/white dial, SUBMARINER on top of feet-first depth, "SWISS - T<25"
6) Ca. 1985-1988 (and until late 1990s as a replacement 5513 dial): gloss/white gold surround dial, SUBMARINER on top of feet-first depth, "SWISS - T<25"
From time to time your hear of people that ask - "what watch to buy if I want to make sure my money is safe..."
But when asked - I always just say Rolex - I can see no real risk in buying a second hand rolex tool watch. It will always be in demand - it is just a question of the price. In the last two to four years, there have been a tendency for more exotic watches to gain momentum in the watch world, but how will the future look? I say again - big watches are not part of the "future"
Panerai - on the way down? Their new watches just don't sing to me, and will panerai be able to make a small watch? "exotic" watches will not be part of the future - All these special watches that cost +1 mill. Rolex vintage watches will be of interest. Special watches will always demand interest - tudor snowflake, mill spec watches (omega, iwc, rolex, tudor), Comex, etc.. I expect to see that the vintage watches will be in demand - like Omega dress watches, omega speedmasters, rolex vintage subs and rolex datejust. I think the trend is to have some old watches as part of your dress - to be a part of your personality - your watch should be able to tell a story. Next watches thoughts - this time the Rolex Explorer II 1655. In the following days I will write my thoughts on why this watch is on my list. I will describe when, why and my thoughts on this watch and maybe why I have it on my wrist. Rolex Day Date - gold watch - like it. The Explorer II (1655) was never a popular watch in its own days. It was first with the 16550 that the model started to gain some following - but still not very much. The early 1655 was created in a time where deep sea diving and exploring underground was the talk of the days. Speleology was a new word that was seen in newspapers and articles. And that was the "reason" for this Tool watch. How to be able to check the time of the day after multiple weeks underground. When not able to see the daylight - it could become difficult to know if it was day or night - therefor the 24 hour hand on the watch. And because the watch didn't allow use of the bezel or moving the 24h hand independently - this was the ONLY function of the Explorer II watch. So I can understand that many people looked towards the submariner or GMT - there you at least got a second function with the rotating bezel. 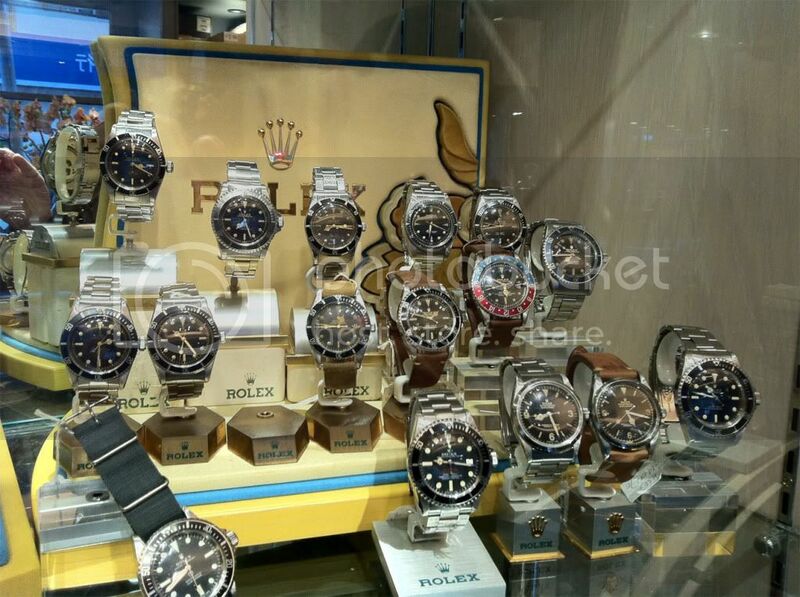 This was my thoughts when getting my first rolex in 1985 - should I go for the Rolex Submariner, GMT or Explorer (16550). I selected the Explorer II over the sub and the GMT, mainly because the price of the watch was so high that any watch selected should be able to be used in any situation. At that time I was a active Scuba diver, and had my own HEUER dive watch , so buying a Rolex Submariner was like having two watches with the same functionality. Next the GMT - at that time with Pepsi bezel - was not selected because the "many" colors. It was a watch you could work with, dive with and at the same time be seen as a semi dress watch. And to this day - my 16550 will be my last watch to go - when all the fancy ding and dong is over - I will return to this classic watch. I still think that this watch is underrated - not in price but in popularity - when you once have tried it on - you will understand the perfect watch this is. But back to the "original" Explorer II - the 1655 - why do I then want this when I think the 16550 is so perfect. And the 1655 would make a perfect welcome to my family. Will I get the newest Explorer II - probably not - right now my focus is on watches not destroyed by the large size fashion. The future of watchforums - what is the new trend. Now in my 9 years of having more than one watch (rolex) - so I can say I'm moving into my 10 years as a WIS. And have almost then same amount of watches. But where are the watch talks moving in to. I can see a clear trend that watch forums have less focus than some of the new medias - like Facebook. Looks like people are using Facebook more and more - and from my point of view I would also focus on the TUMBLR media as a new faster way to communicate throughts and ideas on watches. TUMBLR allows you to post photos and ideas quickly via your mobile or browser. Post news, photos, ideas, throughts quickly and easy. I must say I'm al little hooked on the Tumblr idea. Next watches thoughts - this time the Rolex Day Date. I will describe when, why and my throughts on this watch and maybe why I have it on my wrist. This time it is the Classic Rolex Day Date in gold. This watch was not a watch I had in my mind for just 1-2 years ago. Its a gold watch and I'm a steel watch man, the dial is not black (I'm a black dial man), the size is below 40 mm, and last it is NOT a tool watch - but much more a dress watch. But during the last year or a little more I have really looked more and more on this watch. It all started back in my high school time where my mat teacher had this watch (and another teacher had a Rolex Explorer I). And the way he treated this watch was something I could not understand - it was really used, and he did not take any special care of the watch. And when I think back - one of the rolex ads that I liked was the Reed Adair - I was run in danish newspapers in full page (Back when a full newspaper page was large ;-) ). I still don't see me as a full gold watch man - but this watch could change my mind. Still have to see it in person up close before I make the jump. It is still very much a "tool watch" if seen from the robustness of the watch. I have the idea that this watch will take just as much beating as any other oyster watch. It is just the case material that is different. Maybe this will find the way to my home in the near future - I hope so - and Yes I want one. Somehow I think that the time for oversize watches is a time gone by for me. I'm back - after some time where my time used on different forums and going through the net for watch information has been almost none existent. It has been so bad that I have just for a week seen the new Rolexs from Basel. Well guess my focus is a little less on being on the net 24/7 and more have watches as a "healthy" hobby, with my own interest. Looks like I'm going into the next phase of being a WIS. Spending more time on the my own watches, and less time on different forums (at least not posting as much). Well - What can I say about my next step in the watch world. Looking more and more into gold rolex - yes a nice day-date would fit me very well. Right now I'm on the look out for the following watches, in no special order. I feel that I'm ready for a new daily watch - my daytona zenith - that is my daily watch right now is so perfect - its size is perfect, its looks are just so cool. The Basel watch fair - what is the new trend? I can see that I'm started to fall down a little on my time on the net looking for watches, new watches, the new trends, etc. I'm becoming a less WIS person, but still find a lot of joy in watches, and I will continue to collect information and enjoy all the nice watches out there in the big world. I would really like to see what is the main trend - now that the financial crises is more or less over. What I can see is that many brands are on the way back to the classic looks, and rediscover their past. Again rolex make their own design with the sky-dweller, and tudor again shows some retro watches. I must really say that tudor has gained a lot of focus over the last couple of years. When I have had time to check out many of the watches at Basel, I will comment on what the newer trend is - but based on the initial view - I would say - retro style and back to the classic looks and models. Back from a small but nice vacation. Back in the cold Denmark after one week of pure sun and water and free drinks. It is though to get back to normal work after this kind of luxery vacation. If you like me think about taking more than one watch with you on a small vacation, you must be see as a WIS. But when you go the complete way and really takes extra watches with you on vacation your a really WIS.
Found this link on vintagerolexforum.com - that is some nice watches, and many of the watches are in private ownership. Non the less, the numbers and the models are so very special. You should probally have some milions if you want to have the same kind of collection. Again Panerai have released a number of new models for 2012. Right now this leaves me a little cold - I'm still a huge fan of the "original" panerai models, where you could have all the models in a small catalog. For me it looks like the number of "new" models each year exceeds the number of basic models for just 5 years ago. None of the new watches from Panerai sings to me - The classic Pam 0,1,2,4,5,196,88,..etc just feels much more right for this brand. And the way that all the new models have "faked" luimova to look like old tritium just don't make it right. That moves the watch to a fashion statement. When I start to feel more interested in another old Rolex 1675 - over any other watch - this watch will NOT be on my next watch list. And that is the way I feel towards the Panerai trend right now. None of the "new" panerai models sings my song - only the early models like a 1A-B, 2A-B, 4A-B will be able to find its way to my "house". Sorry to say that the Panerai Success could be the slow downfall for that brand seen from my side. Yes I know that this is the way to go when a company looks at the profit. But somehow I like a brand that stands true to its roots (like Rolex, Patek,..., and to some extent Apple). If your in politics, television, movies, etc. you know for sure that your a success when other people start to make fun of you, being the center of jokes, etc.. I can to some extent understand the people doing this, and my hat of to them for NOT doing anything other than uploading a new index file and renaming the original index file to indexx.html - thanks for that. But I used to read about this in my younger days - honeypots, port scans, etc. And I'm a 100% linux guy - so I also do a little shell scripting or more like long one-liners at home and work to get things done quickly and easy. But to get back to the hacked version of my page - I have it hosted outside, I use simple ftp to connect, my protection is my login name and password. And I will not enforce anymore strict security on my site (that is for the web-hostel to take care of). Yes - I'm still on the look-out for a new/used watch. DONE Rolex Daytona - black dial - Still a true classic - and I do like it. I miss the rolex day-date I begin to feel for, and also the rolex explorer II (1655) is on my radar. And who can resist a nice rolex 5513 when you see one, or a rolex 1016 - just a true classic. Rolex is for sure a safe bet, but should I still allow other brands on this list? Yes I think so - even if you NEVER go wrong with a rolex, other brands are OK as well, they just take some more thoughts from my side to jump into. A trusted good danish online watch seller..
As you all know I look thorugh many webshops in search of nice watches. Sometimes not to look for anything to buy - just to look around - like windowshopping in the virtual world. A guy called Micki in Denmark have i site called dreamwatch - a good name for a site that sells used "highend" watches. Not to many watches - but always a good place to look for watches when living in Denamrk. Well before this is in place I will take a little trip with the family to get some rays and water on my body. And maybe get some time to make some nice "Holiday" photos with watch content. It is with sun and sand - so maybe the old dweller (16600), but probably also my daytona, as I have no Holiday photos of that watch. Dweller - trusty old boy. Next watch - are you a "using" or "collecting" type. I'm in the situation that I have no and many watches in my site. What to do when your in this situation - focus on ONE watch only and only focus on this watch, or have multiple watches on your list and jump on the "best" offer (price, quality, ...). Both ways have their pro and cons - but I guess it also depends on the person you are. A watch "using" type of person or a "collector" type of person. And sometimes I'm not completely sure which type I belong to. For the most I feel like a using type of person. But sometimes I feel like a collector type of person. You might buy a watch that is not the high on you list - but the offer was good. You get a watch - but might not wear it - as it was really only a very good deal. Yes - I never thought I could come to this, but the rolex day-date (and some times the date only) in 18k gold is something I easy could see as a next watch. I'm also thinking about the bi-color rolex models (steel and gold) - but a solid rolex gold watch could be classy. My new daily watch - the Rolex Daytona Zenith - which I got from subgmt.com, is just something I'm very happy with. As I have been saying it is my daily watch - but I have had it stop two times during normal wear. Something I'm not aware of on any other of my rollies. I don't know what can cause it - it keeps time just perfect (+1 sec day) and keeps on running for weeks and months. But the I wake up a morning (always after a night sleep) - the watch has stopped dead. Take a quick movement/or wind up - and everything is going again with no problem. Could it be the power reserve? Could it be the rotor? I don't know but will keep the focus on the watch and keep you updated. Everything else is perfect - just don't want to spend plus 700 US$/Euro on a checkup and cleaning. Here are my vintage cameras - my old nikon F (from 1965), my Nikon F3P (from 1985). I got myself a Nikon D2Hs a camera that in the world of digital photography is VERY old (from 2005). The high iso performance is not very good, the number of pixel (4.1 Mp) is only about half that of any mobilphone camera, etc.. So it that way, it is a VERY old and not pritical camera, and any other low-end camera would be a "better" buy if you look at the picture quality, Mp, funktions (movie, multiple formats, very high iso, etc...), but I selected to try this out as it has been on my radar since I got my first digital Nikon D70 (from 2004). I can now use my old manual focus lenses, that until now have been in my old Domke F2 bag. Say hallo to my nikkor 20mm/2.8, 24mm/2.0, 35mm/1.4, 50mm/1.4, 85mm/1.4, 135mm/2.0 and last my 300mm/4. It is fun to take pictures with this combi - half the photos I delete becasue of out-of-focus, but at the same time I get some new different photos because of a new way to take photos. All I can say to you who have a normal digital DSLR with a zoom, try getting a 35mm or 50mm and perform manual focus, and move around. With my new old Rolex daytona (Zenith) p-series, I have found a perfect balance between daily use and WIS focus. Meaning that with this watch I can have my daily WIS movements when looking at it, using the chronograph, keep the chronograph running all day and general just look at it from time to time. But this also means that my other watches are getting very little wrist-time, and the more the days and months go by, the more the daytona feels just right. I guess this can be a issue for more WIS than just me. To have multiple watches lying around, but mainly only using one for like 90% of the time, and getting back to this watch again and again. 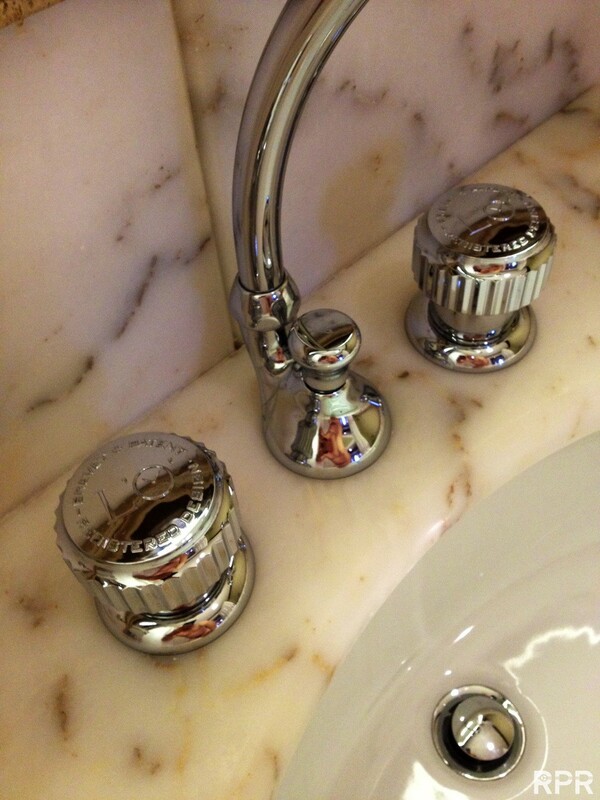 Is retro design the order of the day? Looks like the retro design is on the way back in watches. Some of the newer models are made to look like the old versions of watches - aka the vintage models we all like so much. Now it is only a matter of time before we can buy a new "vintage" omega speedmaster and red rolex sub. I for one don't like this trend - I will see the newer "vintage" version of watches as a "wannabe" watch, that only makes the changes to rub some of the original models "value" onto them. Give me a new model any day over a wannabe vintage watch. That is just me - I know there exist some nice Explorer II models - that have been made with patina dials, some new IWC models with vintage look, etc. But for me I like the new models for what they are, exactly as the reason for the old vintage versions. A timepiece to tell the time, and if dive watches, to be used for view dive time. But none of these reel tool-watches was made (from my point of view) to meet a fashion trend. So if a tool watch - then it is a tool watch. Any person that think that a new watch made to look vintage is nice, must also like the daytona leopard, or other bling bling watches, that are made to meet a fashion/trend statement. Watches are nice but - I'm also a old photographer - so I have been looking towards a newer old/used camera. I have selected to buy a VERY old nikon D2Hs - a camera with only 4.1 mp picture size. And in the days of plus 10 mega pixel compact cameras this might look very limited, but sometimes it is not in the size but in the quality. And as with my watches - I sometimes like the "vintage" models better than the newest versions. And with the prize I paid for this Nikon D2Hs - it is a complete win-win situation. I must say that even with all the new mega pixels and features in the newest digital cameras, some of the best photos are/have been made with the old fashion type of cameras (this is maybe to push it all a little - but you get my point). And maybe the trend is going back to the "old" days. The Leica M8/9 is digital but still manual focus. The high level compact cameras like Fuji x100 is using fixed focal. The newer types of digital semi-compact is going back to fixed focal lenses. All I can say to people with a normal setup (Digital DSLR with standard zoom lens) is try to buy a fixed focal lens and make yourself the task of only using this for a period of time. The positive thing about the Nikon D2Hs camera is the following. Battery life is perfect - plus 2500 shoots pr. charge. Well time will show if this camera delivers for the major part - or I will trade up to a nikon d7000 is time to come. I have been busy with my life - so the updates on my watchblog,dk has been very low. Sorry for that - but sometimes the daily life takes over from my "hobby". Watch wise I back to my roots - Rolex is my way to go. As the start of 2012 is well under way, I feel that my quest for the "exotic" watches have died a little. I'm back to Rolex as my main brand, with a small look into Omega (Speedmaster/seamaster) and maybe also AP (old version AP ROO). But if pushed - I will go always go back to my Rolex. I can't see anything wrong with this brand - and I'm no "fanboy" - the quality vs price is just very nice on this brand. What I have my eyes on - both vintage and new models. A little out of scope is the Tudor watches - A snowflak is always welcome. We are already one day into 2012 - and I'm already looking back on 2011 seen from a watch interested guys simple life. But at the same time I also trying to look a little ahead into 2012 - what will it bring. So here are my simple throughts from the year gone and my very loose throughts on 2012. From the year gone - 2011. Panerai became a little more mainstream - to many new models - was it over the top? 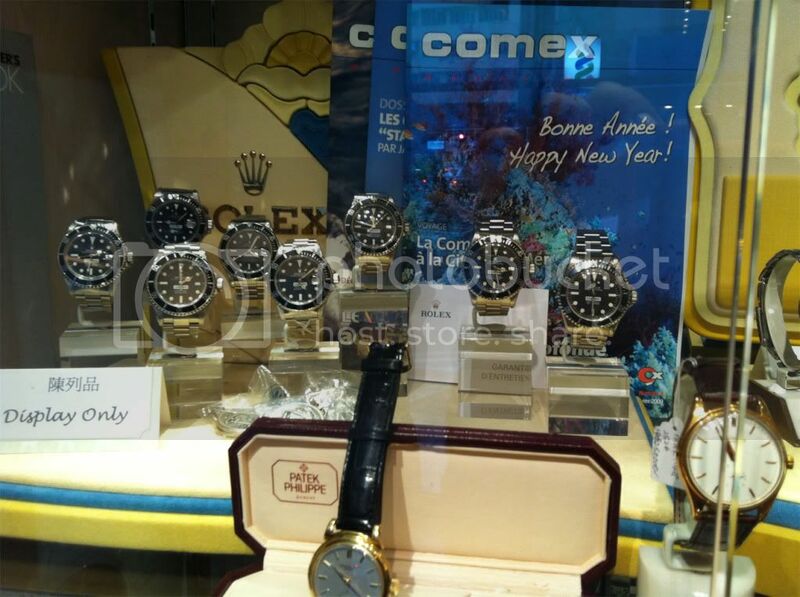 The prices on used watches became more "realistic"
From the year to come - 2012.